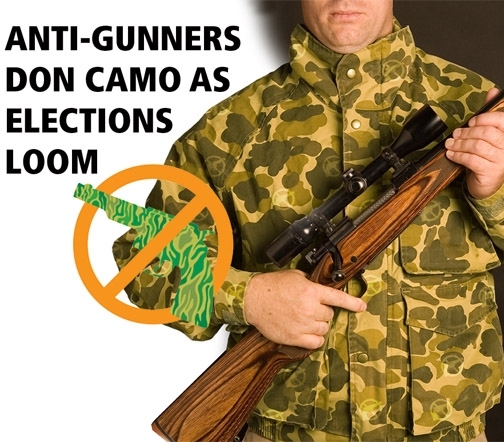 Seeking to pick up the baton dropped by the ham-fisted Americans for Gun Safety, the American Hunters and Shooters Association (AHSA) has arrived on the scene to become the latest front group for the anti-gun movement in America. Tracking the recent history of the Second Amendment debate wouldn’t be complete without a look at the shifting tactics of the opposition. Our tireless efforts and resulting victories at the ballot box have made it clear that openly campaigning against the Second Amendment is a political loser. The anti-gun groups have undertaken a concerted effort to mask their long-term agenda, but only as a mark of pure, calculating political expedience. In truth, it was staffed by a handful of longtime anti-gun strategists who were certainly vigorous in issuing countless press releases. But AGS never developed political credibility or power, because it had no members, no base of support and no grassroots strength. In due course, the group appeared to simply evaporate, and it now exists only as a website that hasn’t been updated in months. Now comes, as if on cue, the American Hunters and Shooters Association (AHSA). The group’s self-description that pops up in Internet search engines is: “Countering years of polarized debate and restoring pride in America’s hunting and shooting heritage.” Gee, that polarized debate thing sounds familiar. But let’s go through the exercise, for those with any doubt. AHSA is certainly working to create that doubt, with a debut performance at the recent convention of the Outdoor Writers Association of America. The message is plenty familiar—a pure re-hash of the AGS mantra. Their past associations as operatives and supporters of the gun-ban lobby are well established. So let’s look at those associations as they are, not as Ricker glosses over them in the media. Let’s go to the videotape, as the sportscasters say, in the form of a sworn deposition that Ricker was paid to give in the baseless New York City lawsuit against the firearm industry. What’s that, you say? Ricker is a paid witness in the effort to hold the firearm industry responsible for the acts of criminals? Yes. And that’s just the beginning. Given on September 27, 2005, the deposition details the formation of the group, and Ricker’s other paid allegiances to the gun-ban lobby. Ricker stated his “biggest” client was the Educational Fund to End Handgun Violence. That’s the “educational” arm of the Coalition to Stop Gun Violence, a long-in-the-tooth but minor gun-ban group, run by longtime gun-ban advocate Josh Horwitz. The signature logo of CSGV is a picture of a handgun with a red slash across it. Look at their website (www.csgv.org)—it’s right there in the corner. The rest of the site details their slavish support for any and all new gun restrictions. In the deposition, Ricker reports that his other client is the Virginia anti-gun state group Virginians for Public Safety. Ricker reports AHSA as merely another one of his clients in the deposition and that his services as Executive Director are compensated at the rate of $3,000 per month. Ricker was questioned about the number of members in AHSA and estimated that “it’s probably around 100 to 150 at this point.” Noting that each member pays $25 to join, industry lawyers observed that incoming dues alone were clearly inadequate to pay his retainer. Ricker stated that the rest of the funding comes from “individual contributions” and said the largest contributors were the AHSA board of directors. The AHSA board proudly displays pictures of themselves target shooting or afield, confirming their elitist mind-set that it’s okay to ban guns they don’t own. Their political track records follow suit. Board Member Ray Schoenke has supported myriad liberal causes in recent years. He has made political contributions to Al Gore, Barbara Boxer, Bill Clinton, Dianne Feinstein, Ted Kennedy and John Kerry. In 2000, Schoenke donated $5,000 to Handgun Control, Inc. Contributions were also made to HCI by the Ray and Holly Schoenke Foundation, enough to earn him a slot as a major benefactor of the annual HCI fundraising dinner. 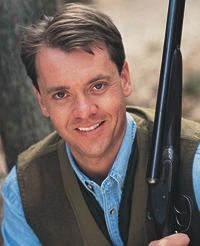 Another ASHA board member is Jody Powell, lead spokesman for the rabidly anti-gun Jimmy Carter administration. Under Carter, the Bureau of Alcohol, Tobacco and Firearms (BATF) waged a brutal crusade against the civil liberties of firearm owners that resulted in three major congressional inquiries and led U.S. Sen. Dennis DeConcini (D-Ariz.), chairman of two such investigations, to characterize BATF conduct as “bordering on criminality,” saying the agency had moved against honest citizens “because [it has] taken the view that individuals who are interested in firearms are either criminals or close to it.” While Carter was posing as a quail hunter, on his watch the Occupational Health and Safety Administration (OSHA) tried to ban hunting on privately owned timberland. Had Congress not acted to kill the OSHA hunting ban at the urging of NRA, hunting in America, on both public and private lands, may have become a truly endangered activity. The Chronicle article has yet more: “Also troubling,” said Ron Schuman, another former BATF official who works for Crime Gun Solutions, “is the NRA’s attempt to protect the gun industry from lawsuits that could help shut down gun dealers whose firearms routinely make their way to criminals.” Schuman is identified by Ricker in the deposition as an attendee of the AHSA formative meetings. And did I mention that Crime Gun Solutions performs consulting for the lawyers at the Brady Campaign, frequently appearing as paid expert witnesses in lawsuits against the industry? In fact, these are the same lawyers that Ricker admits to meeting with several times in the deposition. That completes the now-familiar picture. Rich anti-gun donors funnel cash into a front group that claims pro-gun and pro-hunting credentials, despite longstanding and current ties to a multitude of gun-ban groups, causes and candidates. The front group paints itself as a “moderate, centrist” alternative to the “polarizing rhetoric” of the Second Amendment debate and makes a soft-sell to outdoor writers and anti-gun candidates. Wray advised Ricker, Rosenthal and Schoenke that “we will beat a path to their door,” and said “the ripples emanating from the AHSA pebble are getting bigger and gaining speed as they approach NRA headquarters.” Ricker and his cronies were likely rolling with belly laughs when they read Wray’s naïve, enthusiastic embrace. From the deposition, we know there may be at least 100 to 150 others who have bought the same line. But with the unlimited funding of anti-gun social engineers, and the clear ability to fool at least some outdoor writers into giving the sham group free publicity, who knows how high that number could climb. The word “absurdity” is not strong enough to describe the notion that longtime operatives of the gun-ban lobby could credibly create and operate a self-described pro-gun association, particularly when they are still giving donations or being paid to push restrictions on consumers and support baseless lawsuits against the industry. Credibility is the coin of the political realm and that’s the reason NRA members hold the power that we do. We know what we believe; we’re good at what we do and the entire operation is made possible by the voluntary contributions of our members and supporters. We’re not ashamed to defend our freedoms from attack, no matter how “polarizing” our critics may find it to be. That’s what builds credibility. Those who are “disillusioned” are welcome and in fact entitled, under the Constitution, to form their own association. But they should be prepared to be called out as liars if they cover up whom they really are and what they truly support. That’s why AHSA has no political credibility and never will. The only thing emanating from the “AHSA pebble” is the stench of yet another cold, calculated attempt by the gun-ban lobby to thieve the hard-earned political credibility of gun owners and hunters.